The trial of Hissène Habré, former President of Chad, which opened in Dakar, Senegal, on 20 July marks a new step in trans-national law. 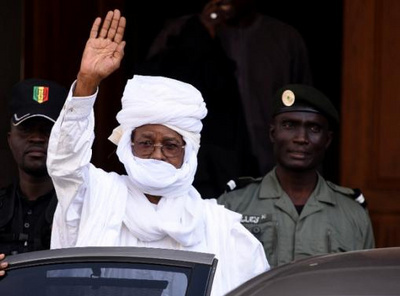 Habré will be tried in a specially constituted court created by a treaty between the African Union and the State of Senegal. The court is modeled on the statues of the International Criminal Court in The Hague, but is to deal only with cases concerning Africans. It will be important to see if this new African court will be a one-time-only institution for the Habré trial or if it becomes a permanent institution of world law. The International Criminal Court has been criticized by some African leaders as being overly focused on Africans. Arrests and arrest warrants have been issued nearly exclusively against Africans. What is not mentioned in polite company is that Africa is the only continent where state institutions have totally disappeared − Somalia, Central African Republic, Libya − or where vast areas of a State are not under the control of the central government: the eastern provinces of the Democratic Republic of Congo and the northeast areas of Nigeria. In addition, there are a good number of African States where the court system is so under the control of the executive that “fair trials” are out of question. Thus, if African leaders were reluctant to see the International Criminal Court take on new African cases, an “all-African” alternative had to be created, even if it is nearly identical in the types of crimes to be judged and the way that evidence is to be collected. The judges in Dakar have already interviewed some 2,500 persons even before the trial started. Hissène Habré is a sad case of an intelligent man blinded by his quest for power and then for holding on to power. In this process he destroyed large segments of ethnic groups who he suspected of wanting power. He also had killed any potential rivals, even those who had shown no opposition. It is estimated that in his eight years of power, some 40,000 persons were killed, some in the military campaigns against ethnic groups, but also some 4,000 political figures killed individually in jails and specially-designed torture centers. In his very last days in power in December 1990 as the forces of his general Idriss Deby were moving to overthrow him, he had 300 persons in jail killed as a last gesture. His very last gesture, however, was to take all the money available in the Treasury withim into exile in Senegal − money which has allowed him to live well and to contribute to the well being of Senegal political figures. Hissène Habré is a member of the Toubou ethnic group in northwest Chad. His intelligence was spotted by his teachers, and at the independence of Chad in 1960, he was given an important post in the provincial government at age 18. After two years of administration, he was selected to go to France for university studies in law and development economics. He even has a diploma in federalist-decentralization studies so he had heard that there were ways of dealing with ethnic minorities other than by killing them. Habré spent 9 years in France, mostly in Paris, and has the equivalent of two Masters degrees in law and development economics. In 1972, he returned to Chad but rather than becoming a government administrator, he joined a militia band that was trying to overthrow the government, and then formed his own militia group. Habré had been deeply influenced by the example and writings of Che Guevara and saw power as coming from “the people in arms.” He first attracted international, especially French, attention by taking hostages. The most famous − if unclear case − is taking the woman anthropologist Francoise Claustre hostage from 1974 to 1977. What makes the case unclear is the Habré and Claustre knew each other as students in Paris, and there was some talk that the hostage-taking was a common plot to get money out of the French government. The French military officer sent to negotiate her release was murdered by Chadian government officials, but Claustre was later released. By 1978, Habré and his troops had become powerful enough that he was named Prime Minister. He learned his way around the administration, and in June 1982 he overthrew the then President Goukouni Oueddei and became President. Habré abolished the post of Prime Minister. He wanted no rivals in sight and until December 1990 ruled ruthlessly, helped by his security organization: Direction de la Documentation et de la Sécurité (DDS). His repressive administrative practices were hardly secret. However his administration was heavily supported by the governments of France and the USA as a barrier to the expansion of Colonel Kadhafi's Libya. In 1973, Libya had claimed and then occupied a strip of land − the Aozou Strip − on the frontier between the two countries. Modern State frontiers have little meaning to the nomadic tribes of that area and so the frontier had never been well delimited. However, there were fears that Kadhafi wanted to annex all of Chad and had expansionist aims toward other countries of the Sahel. Hissène Habré was willing to give a free hand to the CIA which tried to create an anti-Kadhafi military force from captured Libyan soldiers. Since the CIA was willing to pay large amounts of money to set up its training bases, Habré had no objection, especially as the area occupied by Libya was of no particular interest or support to him. French aid was more obvious. French soldiers were sent as a mark of support to the Habré government. Each time that French troops were sent as security for the capital, Habré could use his own troops to attack minority areas. Thus in 1983 French troops, code named “Manta” landed, and in 1984 Habré's troops attacked the Sara population of south Chad. In 1986, French troops, code named “Epervier -Hawk” landed and in 1987 Habré's troops attacked the Hadjarai tribes: this pattern went on through 1989 and the attacks against the Zaghawa tribes. By 1990, one of Habré's generals, Idriss Deby said “Why not me?” and with some troops loyal to him overthrew Hissène Habré. Deby is still President of Chad and his troops are the most battle-tested of African armies, now busy helping the Nigerian army against Boko Haram on the Nigeria-Chad frontier. Since 1990, Habré has lived a comfortable but low profile life in Dakar. However victims and their families from his years of rule have cried for revenge (or at least justice). Different avenues to bring Habré to trial have been used, especially a universal jurisdiction law of Belgium which held that persons accused of certain crimes such as crimes against humanity, war crimes, systematic torture, no matter where committed, could be tried in a Belgium court. This Belgium law has since been revoked but not before evidence on the Chadian case could be presented to the Belgium judges. Evidence concerning torture and the killing of potential opponents by Habré's security forces was carefully collected under the driving energy of Reed Brody of Human Rights Watch. Habré had friends among the governing elite of then President of Senegal, Abdoulaye Wade, who protected him so that no trial could take place. However, with the new President of Senegal, Macky Sall, in power and the accumulation of evidence, the African Union and Senegal felt that something had to be done. Thus, the creation of the special court and the start of the trial. It is unlikely that new facts will be uncovered. Habré's government was fairly open in its repression. The degree of active support of France and the USA will probably be pushed under the rug. Yet the trial merits watching closely. There are still other African dictators, some retired, others still in power. What impact will the trial and the court have on the rule of world law? Indeed, justice is not relative but universal and as such each no matter where a court of law assembles, it should reflect international universal principles of justice.